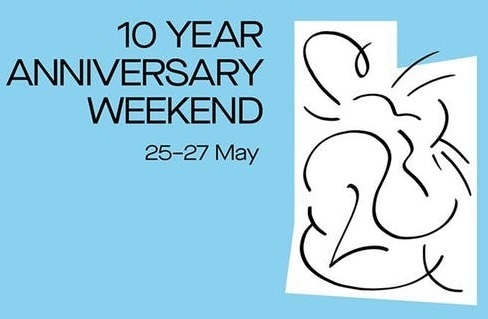 Artists from Syllabus I, II and III have been invited to take part in Guest Projects' 10th Anniversary celebrations over the bank holiday weekend 25-27 May. On Sunday 27 May from 6-10pm, they will present the Syllabus Mix, an evening of screenings, performance and sounds. It will Include work by Frederica Agbah, Chris Alton, Mira Calix, Ilker Cinarel, Faye Claridge, Pheoebe Davis, Freya Dooley, Mike Harvey, E. Jackson, Tyler Mallison, Jill McKnight, Mathew Parkin, Tom Smith, Lucy Steggals, Thomas Whittle, Laura Wilson, Rafal Zajko. The Syllabus is a national, collaboratively produced alternative learning programme involving ten selected artists annually and two external Artistic Advisors throughout the year. It is led by Wysing Arts Centre, Cambridge and jointly delivered with Eastside Projects, Birmingham; Iniva (Institute of International Visual Arts), London; S1 Artspace, Sheffield; Spike Island, Bristol and Studio Voltaire, London. There is limited availability for the event. To register for this free evening, please visit the eventbrite page here.